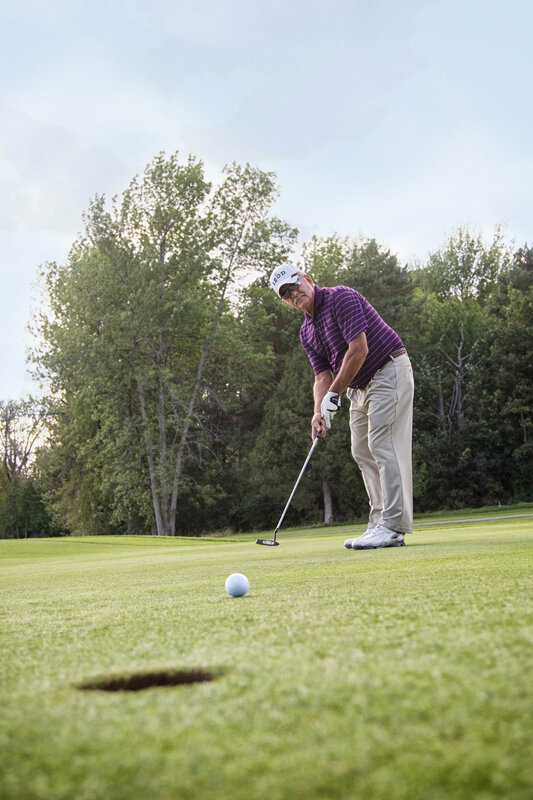 From championship courses to par-72s, golfers along the Adirondack Coast have been driving, chipping, and putting their way across our cedar-lined fairways each spring for more than a century. 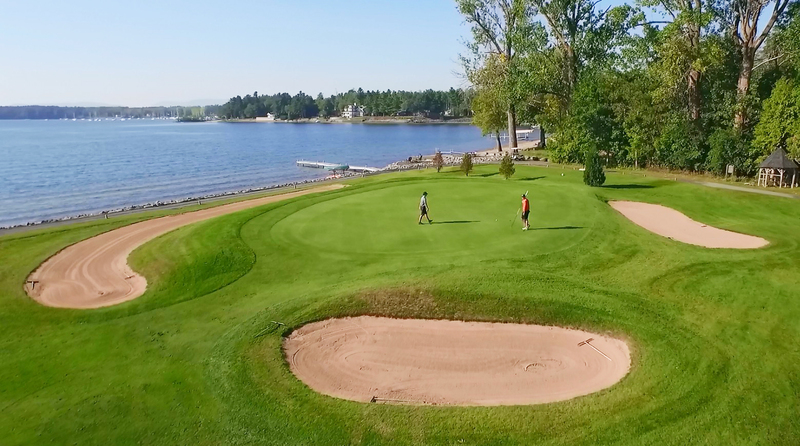 The area’s legacy as a golf destination goes back to the glory days of the country’s first golf resorts, one of which opened right here, along Lake Champlain’s eastern shores during the late 19th century. With this history, I’ve come to consider golf a “fancy” sport—or, at least, a very serious one—because it’s about more than just the sport. It’s about culture and etiquette, too, for both players and spectators. And because culture and etiquette are often accompanied by a rule or two, stepping onto the green for the first time can be intimidating. And intimidation is just no good when you're trying to relax and enjoy your vacation! So, here’s your #adkcoast Beginner Golf Guide to help you ease into the swing of things this spring. With wide open spaces and abounding lakeside mountain scenery, visitors can choose from a variety of impressive courses throughout the area. But if it’s more than just a few competitive games you're after, you’ll find one of the area’s uniquely storied golf courses standing the test of time in Plattsburgh. It’s where the history of Adirondack Coast golfing began; the perfect place for a newbie to start out. Established in 1890, visitors can swing at tees on the same green popularized by former U.S. leaders like presidents Roosevelt (both Teddy and Franklin), McKinley, and Taft, not to mention baseball legend the Great Bambino himself in 1936. Yeesh, no wonder this sport is intimidating! The renowned course at Bluff Point was once attached to Hotel Champlain, the elegant 500-room Victorian summer getaway majestically overlooking the lake for which it was named. Spanning 1,000 acres total with private beaches, a steamboat dock, and an all-star regular guest list including the Astors and the Vanderbilts, this was the hottest hotel resort in the northeast for nearly two decades following its completion in 1890... until burning down in 1910. The hotel was rebuilt the next year and continued to host prominent visitors until the early 1950s. Now the site of Clinton Community College,visitors can tour the re-imagined grounds glimpsing Valcour Island and Bluff Point Lighthouse to the southeast, just as society’s creme de la creme would have back in the day, visualizing the epic naval battles fought right on these waters during both the Revolutionary War and the War of 1812. Golfers of all ages and levels will enjoy reading up on history at each hole on Bluff Point’s now family-owned lawns. 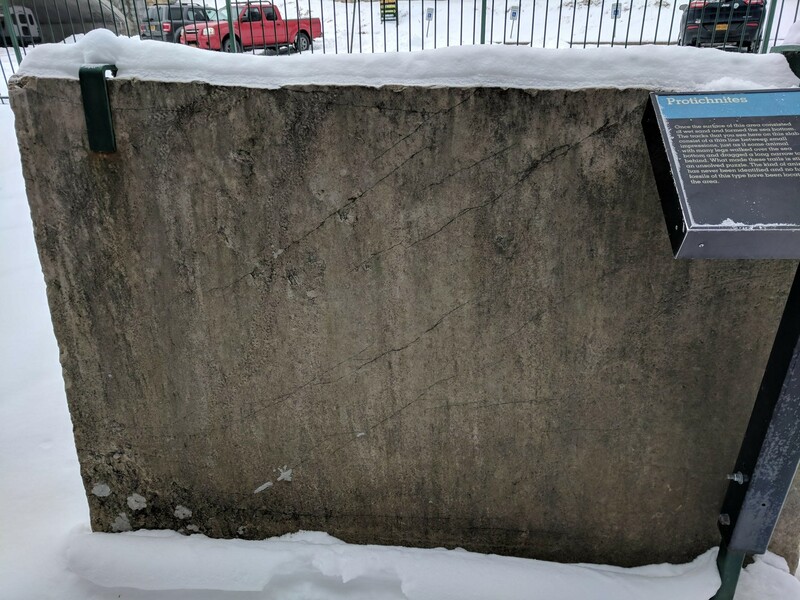 While putting along, U.S. history buffs should especially keep an eye out for a plaque at hole #18 - this is where President McKinley was known to read while observing matches during the summers of 1897 and 1899, when Hotel Champlain was considered his official “Summer White House”. Visitors can still stay on the grounds today in Bluff Point’s luxury cottages, breathing in those same panoramic views of Lake Champlain and Vermont’s Green Mountains. What started trending as a sport for the elite in the late 19th century has now evolved into something everybody can enjoy. 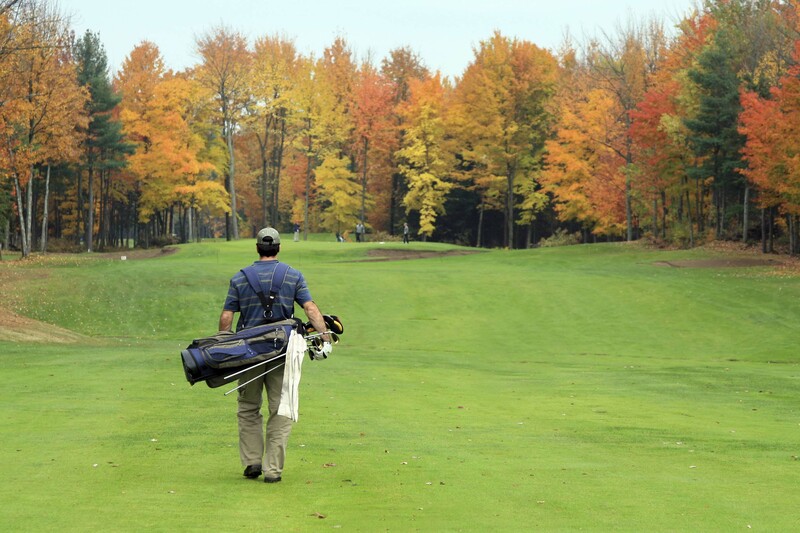 Today, golf courses dot the Adirondack Coast’s shores, and our best ones are public,welcoming returning visitors each season. The vibe varies from course to course, but it’s safe to assume you’ll garner a few odd looks showing up in junky jeans and an old t-shirt. As a general rule of thumb, go for clean and comfortable, always keeping weather in mind for optimal play. A Golfing Glove - If you’re prone to blisters, this one’s a must. Golf Balls - Often golf balls are provided with the game, but not always. It never hurts to have a few extra on hand, just in case! Tees -There’s a chance your tee could break during the game - maybe you’ve got an incredible arm you never knew about! Or, maybe your hand-eye coordination needs some assistance. Either way, you should probably just snag a few extra tees early on so you can avoid any interruptions or early returns to the clubhouse. Clubs -Many people bring their own (and a case or bag to keep everything together),but clubs are typically always available for rent in the pro shop, no matter what course you head to. Shop attendees will be able to help you find the right match for your dominant hand. Golf Cart - Let’s put it this way: on a hot Adirondack Coast day without a golf cart, that dry-fit polo is no longer optional - it’s necessary. For those not about the brisk walks, investing in a cart rental will help you relax and enjoy the atmosphere with ease, while keeping the game at a steady pace. Cash -It’s always helpful to have some cash on hand for drink carts and tips! Many courses conveniently sell and rent equipment and clothing on site in their adjacent pro shops. 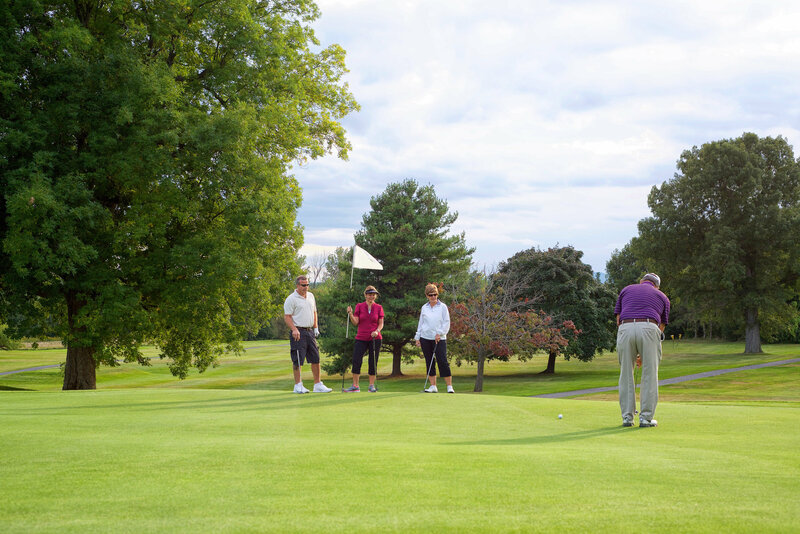 Some, like Bluff Point, even offer practice greens and lessons for beginners looking to sharpen their skills; these courses include: Harmony Golf Club and Community, North Country Golf Club, and Adirondack Golf and Country Club. 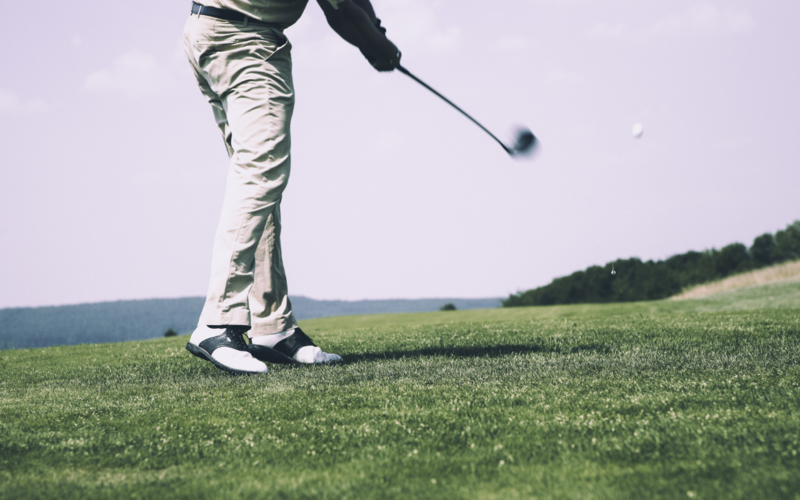 Depending on where in the area you’re golfing,you can also check out the following shopping locations for competitively priced equipment: Consumer Square, Champlain Centre, Lenny's Shoe and Apparel, and Play It Again Sports. Whatever level you’re at or working towards, you’ll find the resources you need to really get into the game! Spring is about to be in full swing! With the billowing blankets of snow behind us and the season’s fuschia apple blossoms nearing full bloom, who’s ready to hit the green? 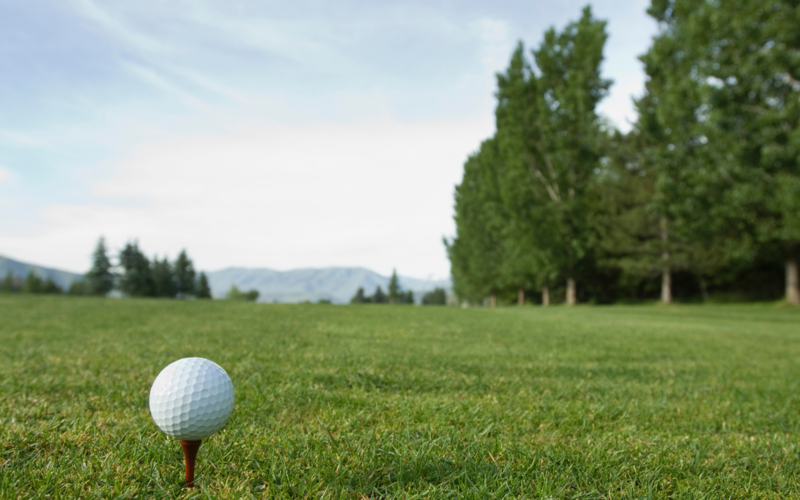 Check out a complete list of Adirondack Coast golf courses here as you plan your next getaway. Alina Walentowicz is "The Write Stuff", an award-winning writer and content creator ready to bring your web presence to the next level. A storyteller at heart, Alina combines a range of writing tools and collaborative experiences to help small businesses embrace their growth potential online. With a B.A. in English Writing Arts and Literature from SUNY Plattsburgh (2015) and 4+ years of experience in blogging and digital content creation, she provides writing, editing, and visual content services including blogs, web pages, social media posts, and more. When she's not clicking away at her keyboard, she's living life (and so should you!). Some of her favorite things to do on the Adirondack Coast include: catching a show at The Strand Theatre, overindulging in Wing Night at Monopole, and challenging herself just enough each summer on a few friendly hikes and paddles with pretty spectacular views. Know a good story that needs telling online? Hit her up at alinawalentowicz@gmail.com. Thawing temperatures signal the Adirondack Coast’s “liquid gold” rush each spring—sugar rush, that is! As snow melts, the season’s sweetest treat begins to flow from the surrounding maple trees uniquely thriving in the Northeastern part of the U.S. In fact, the Sugar Maple is New York State’s official tree. You may have even noticed webs of piping running through wooded areas during your travels. These are sure signs the Adirondack Coast’s maple season is in full swing! In order for the sticky sap to flow, daytime and nighttime temperatures need to strike a sweet spot (pun intended): slightly above freezing during the day and just below freezing at night. This means the Adirondack Coast’s maple production reaches its height around the end of March each year. Visitors head to our shores from far and wide around this time for Maple Weekends, a statewide celebration of this "liquid gold" and all of its goodness. This year, Maple Weekends falls on March 23-24 & 30-31 and maple farms across New York State invite visitors to their sugar houses to experience firsthand how pure, mouth-watering maple syrup and other related products are made. 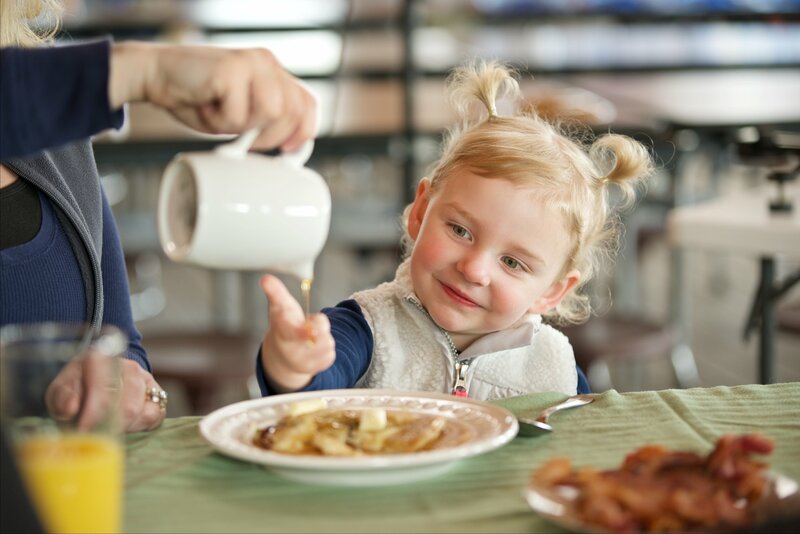 Visitors also have the opportunity to enjoy fun, family-friendly activities, taste New York’s freshest syrup and purchase maple products. 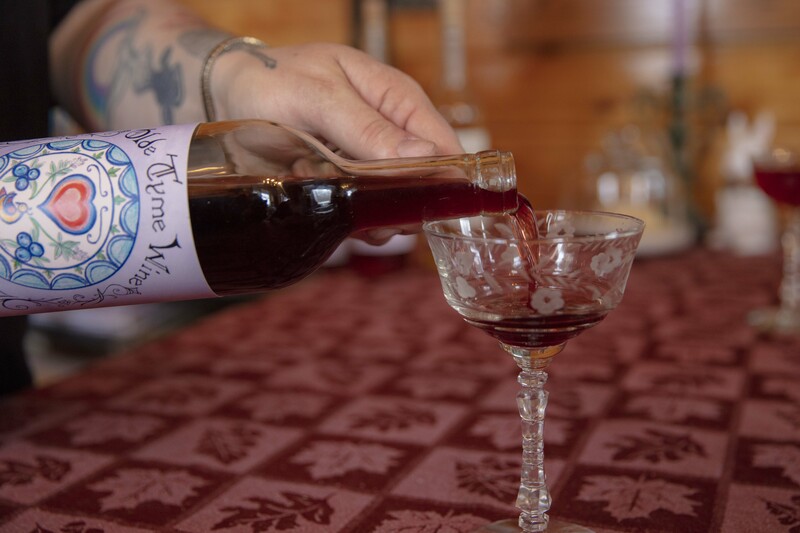 If it’s the purest of syrups you’re after, the area’s memorable maple farms and sugar houses won’t disappoint, offering up the standard “Fancy”, “Medium Amber”, “Dark Amber” and “B” grades travelers to Northern New York have come to know and crave. As natural sweeteners with nutritional value, these syrups present endless possibilities for adventures both inside and outside the kitchen. 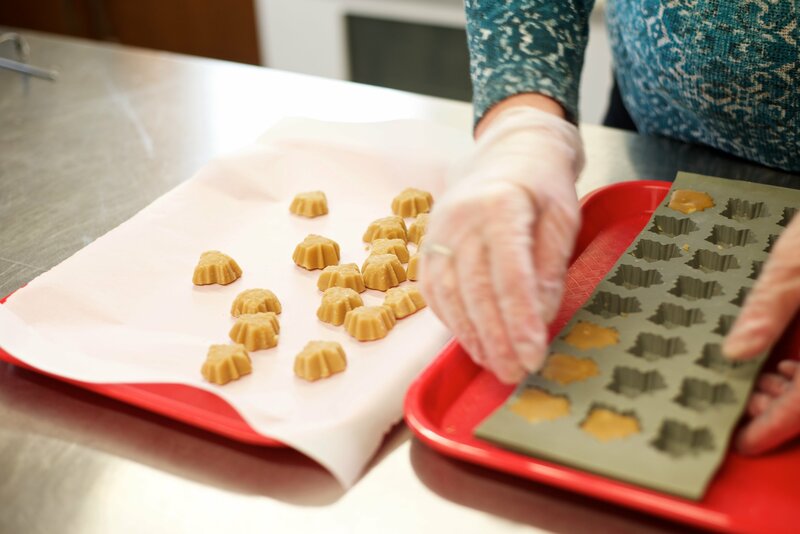 Bring some home to drizzle on your pancakes or waffles, in your coffee, or over your oatmeal, but not before exploring what other delicious confections the following Adirondack Coast sweet stops have in store. 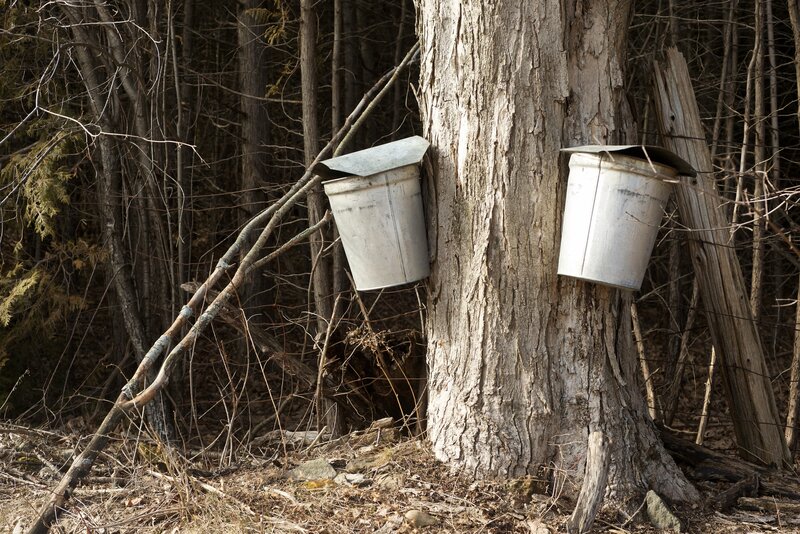 Parker family generations have been tapping trees for sap in West Chazy since the 1800’s. Today, theirs is one of the largest operations in the U.S. with a 1,000-acre maple farm producing 40,000 gallons per year. That’ll cover a lot of pancakes (and don’t worry, they’ve got those too). Fun fact: you need about 40 to 50 gallons of sap to produce just one gallon of “pure” maple syrup! Want to learn more about production processes and how it all works? Meet the Parker family during your visit to the farm, which also includes a gift shop, restaurant, and equipment dealership. You’ll quickly learn the maple sugaring tradition is about more than just syrup and pancakes (although, we can all agree those are amazing!). This is a celebrated lifestyle and an agricultural art here on the Adirondack Coast, often carried on throughout generations, with historic roots in Native American tradition. Whatever your maple desires might include—an agricultural history lesson, equipment to start your own operation, or maybe just a really, really great snack (the maple ice cream is highly recommended! )—visitors of all ages and interests will savor something sweet here. Today, Bechard’s Maple honors the legacy of father and son team Maurice and Marvin, who opened the farm as a hobby in 1998. After his father’s passing, Marvin continued the tradition with his wife, Tammy, and together they’ve grown from the original 300 taps to today’s 9,000 (and counting!). With a background in contracting, Marvin designed and built the farm’s pancake house himself. Visitors can stop by for full pancake breakfasts complete with eggs, sausage, and bacon starting the first week of March (follow them on Facebook for the latest event updates!). 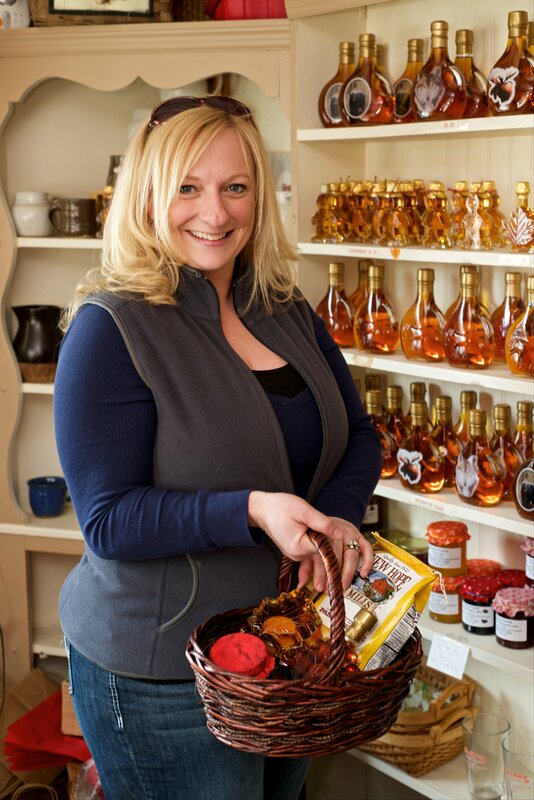 While you’re there, be sure to tour the original sugar house, where visitors will find uniquely shaped glass containers artfully filled with varying shades of shimmering amber liquid, among other treats: maple candies made in house, pancake mixes, sugars, recipes, cotton candy, doughnuts, sauces, and more! Whatever your sweet tooth is after, you’re sure to find it here. Sacred Roots is the artisanally curated maple haven you’ve been looking for, run by the young and friendly husband and wife duo, Ben and Ashley. The couple celebrates a deeply rooted and spiritual appreciation for their surrounding land and its 100-year history in the maple industry (hence, the farm’s name). Bring the whole family along while the air is still a crisp and enjoy sleigh rides! Any other time, treat yourself to tasty samples and demonstrations. Learn how the couple proudly combines past traditions with modern technology by using a wood-fired evaporator to boil their sap. Fun Fact: the sap that comes from Sugar Maple trees is a translucent liquid with only 2% sugar content - because of this, it must boil, evaporate, and caramelize to transform into the sticky syrup we all recognize! With 66 acres of maple trees in their “sugarbush”, as the farms are often called, the pair takes great joy in creating an exceptional experience for their visitors. Escape the hustle and bustle of daily life and retreat to family-owned Brandybrook Maple Farm & Olde Tyme Winery in Ellenburg Center, a hamlet known for its quiet roads, scenic drives, and magnificent white wind turbines. Harvesting sap from 5 sugar bushes throughout the Adirondack Coast, this small farm operation continues to produce a variety of tasty creations since first opening its doors in 2007. Here you’ll find the favorite maple standards—syrups, sugars, creams, and cotton candy—but you’ll also find an expanding list of more than 12 reds, whites, and fruit wines enhanced by (you guessed it!) their very own pure maple syrup. Book an appointment in advance and tour the winery and sugar house, sampling some the Adirondack Coast’s sweetest libations—all made using a combination of estate and local grapes, as well as other fruits. 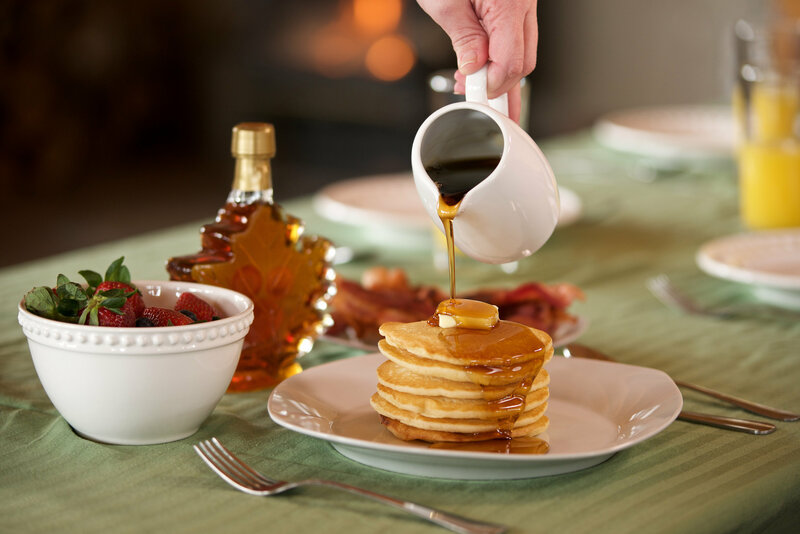 The first of its kind in Ellenburg Center, this stop is ideal for anyone looking to unwind with more than a shot or two of maple syrup! 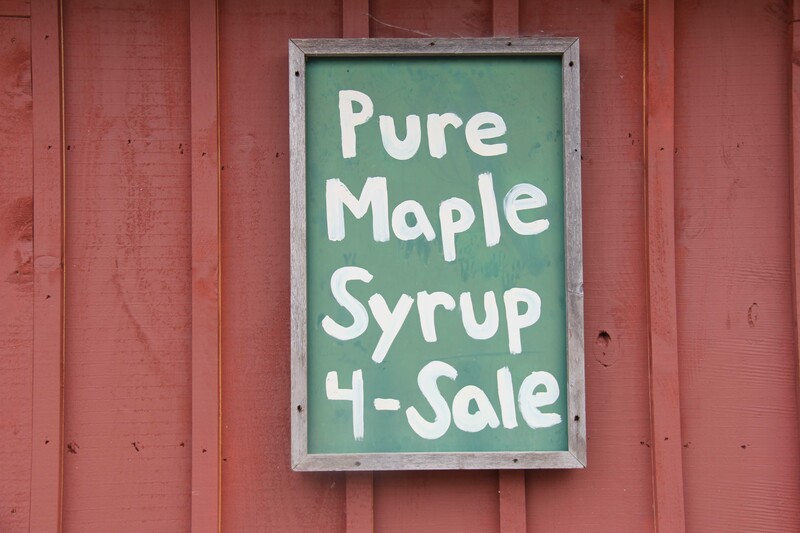 There’s so much to tap into during the Adirondack Coast’s springtime maple madness! Planning to stick around for a bit after satisfying your craving for our “liquid gold”? Check out these other nearby attractions. Put on your favorite fuzzy hat and gloves, because I’m going to take you on a tour of a beautiful winter wonderland that I got the chance to explore recently. 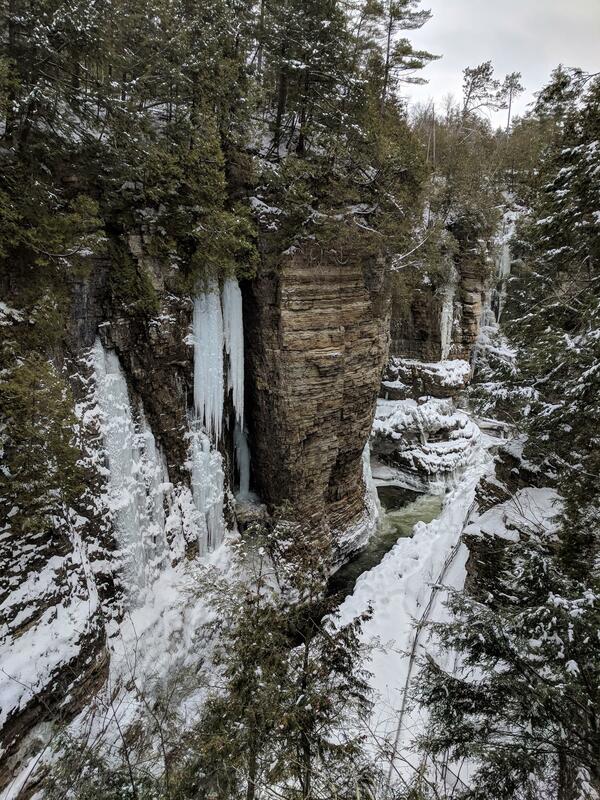 Ausable Chasm allowed me to experience a snowy two hour trek that has never been more fun, or breathtaking. 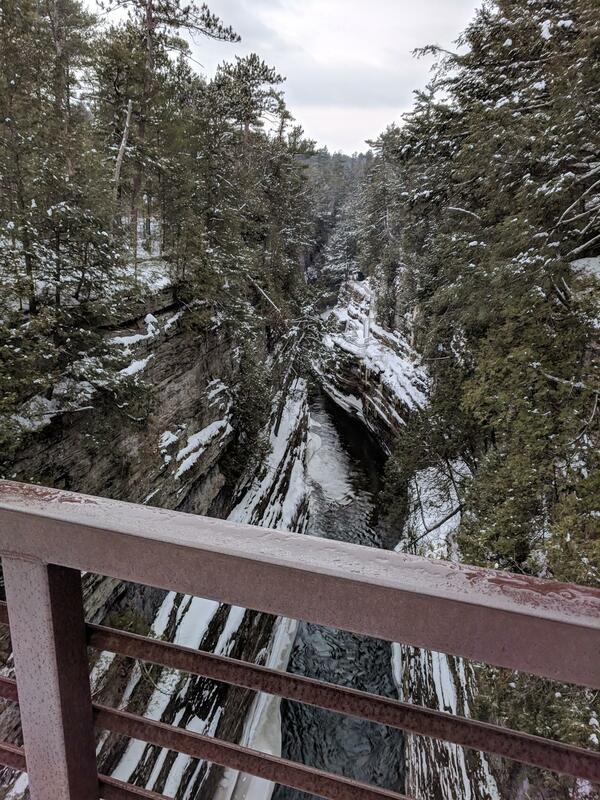 The Chasm offers many summer activities such as white-water rafting, trail-hiking and their super-cool Adventure Trail (see it here), but did you know they also offer guided and unguided tours of "the Grand Canyon of the Adirondacks" in the winter too? If you haven’t seen the roaring river on a perfect, glimmering wintry day, then you are missing out! My mom tagged along with me on this adventure and on a 32 degree day in Upstate New York we were worried about staying warm, but after 30 minutes of walking we found that the light layers we were wearing were perfect for this active winter trek. Winter tours can be either one hour or two, unguided or guided at 10AM or 2PM. Tours must be booked ahead of time by either calling or booking online and start at $25 per person (ages 8+). Going unguided is completely fine, but being our first time, we decided to opt for the guided tour and we highly recommend it! Our tour guide, Caleb, was amazing and gave us a different perspective on the Chasm then we would have gotten by just wandering on our own. The guided tour also allows access to the Inner Sanctum trail, which takes further into the Chasm - definitely worth it! 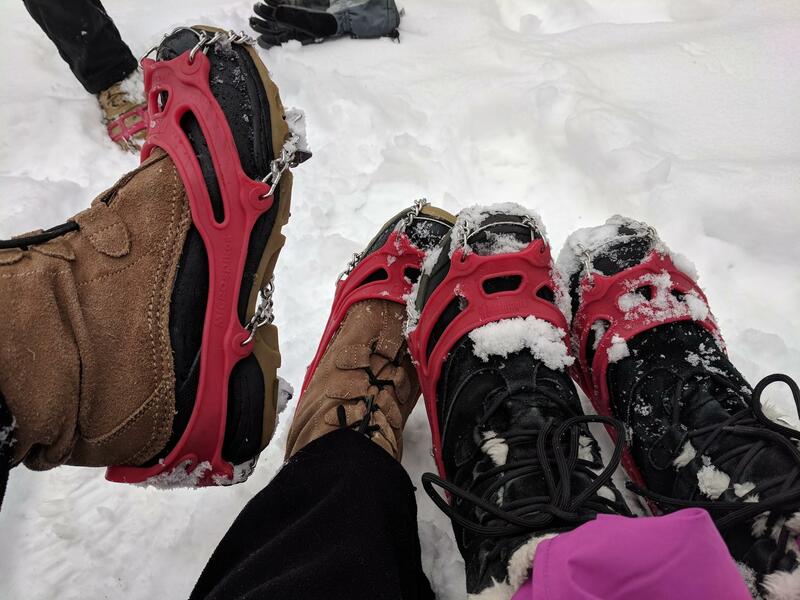 Ice cleats are also a must on these tours and are available for rent at the Chasm ($5 a pair). They made a world of difference when crunching around the fresh-fallen powder. And with the proper footwear, we were off! The first stop was a large mounted rock with bilingual signage standing next to it for all of those unguided tours. 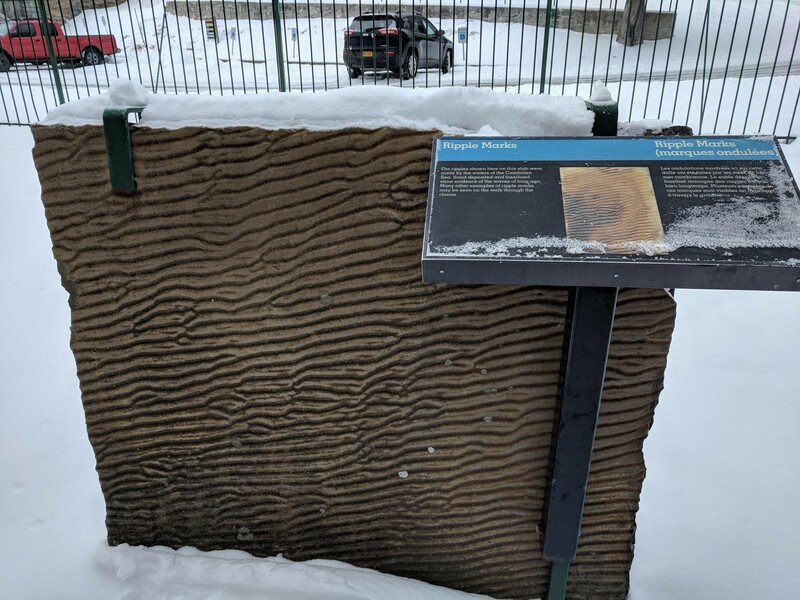 Caleb explained that this ancient sandstone slab and all of its ripples indicated a time when our area was covered by the Cambrian Sea well over 1,500 years ago! 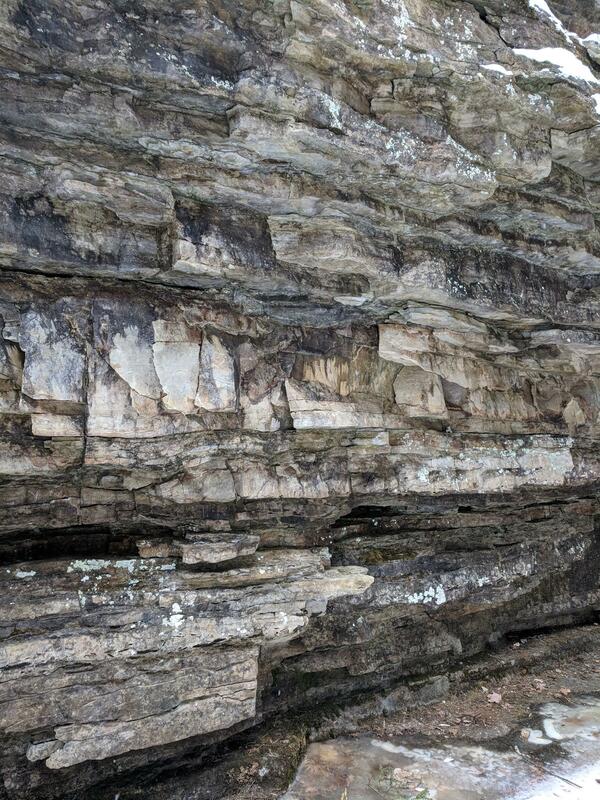 The next stop was a similar sandstone rock with a bit of a mysterious background. Caleb explained the story of how these marks were made thousands of years ago by an animal with little claws and a narrow tail that dragged behind it. No fossil matching this description has been found in our area. After a few more minutes of beautiful scenery, we reached the famous Elephant's Head rock. 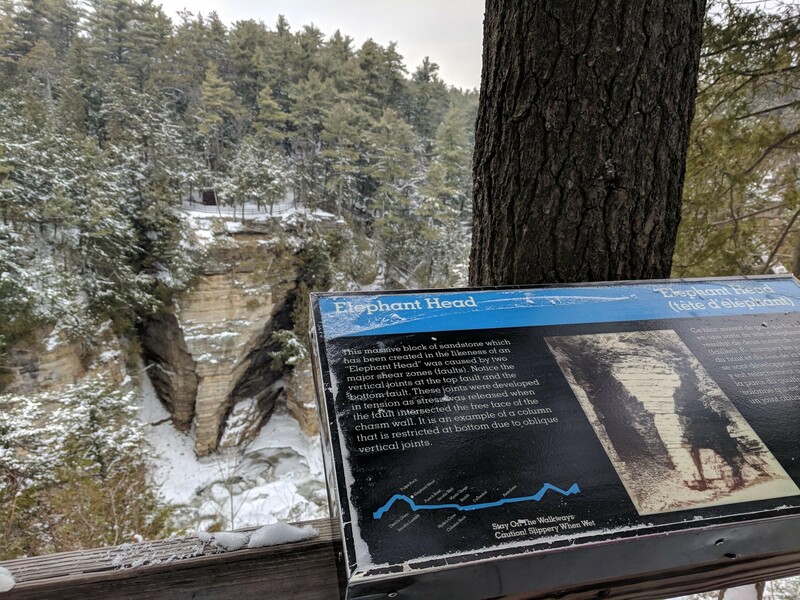 We stood on a wooden deck hovering above the chasm, and looked to the other side where two major fault zones created this amazing rock formation that just so happens to look like an elephant's head. My favorite part of our exploration was a tall cliff etched from calcium-filled sandstone rock, dubbed the “Post Office”. If you're scratching your head as to why there would be a "post office" here, you're doing the exact same thing we did, but the Caleb told us the reason for the name and its pretty cool. The calcium in the rock makes the sandstone soft and easy to inscribe on, which resulted in people leaving letters and notes stuck to the wall by pushing in pins and tacks. 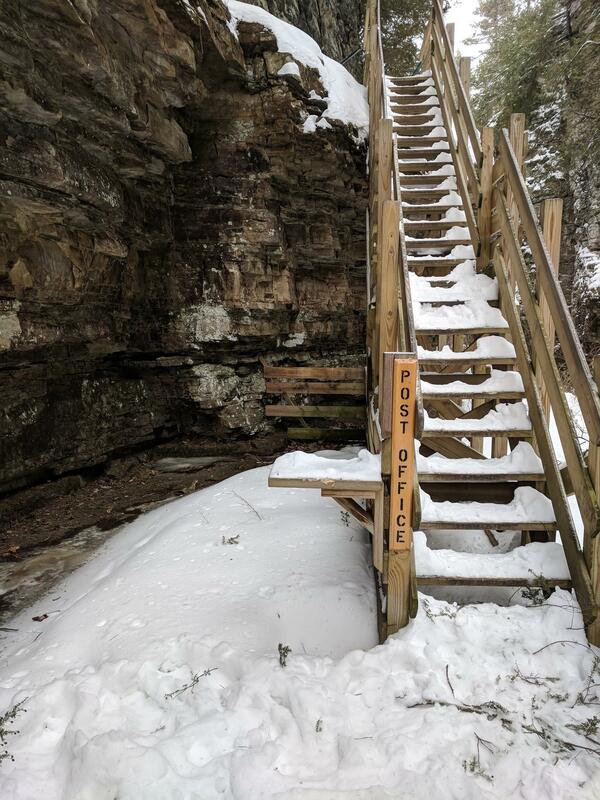 There were times when the entire cliff was covered in little weather sheets of paper, hence making it look like a very disorganized Post Office. Now, people have just resorted the etching words and names into the rock, so next time your are visiting, be sure to leave your mark at the Chasm's Post Office. As you can see in this picture, the side of the cliff has been weathered away,leaving hundreds of nooks and shelves as a testament to its easily worn nature. 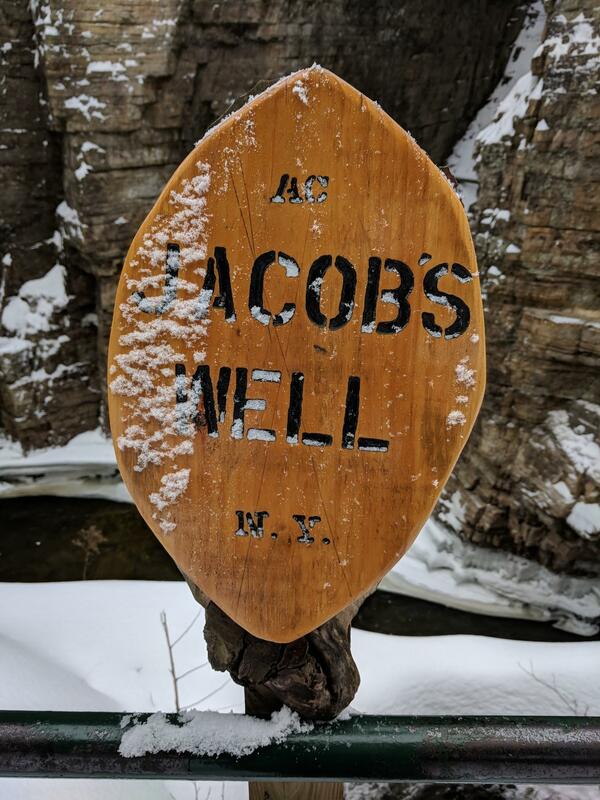 Jacob’s Well is just a few staircases away was another mind-blowing example of nature in its most creative forms. 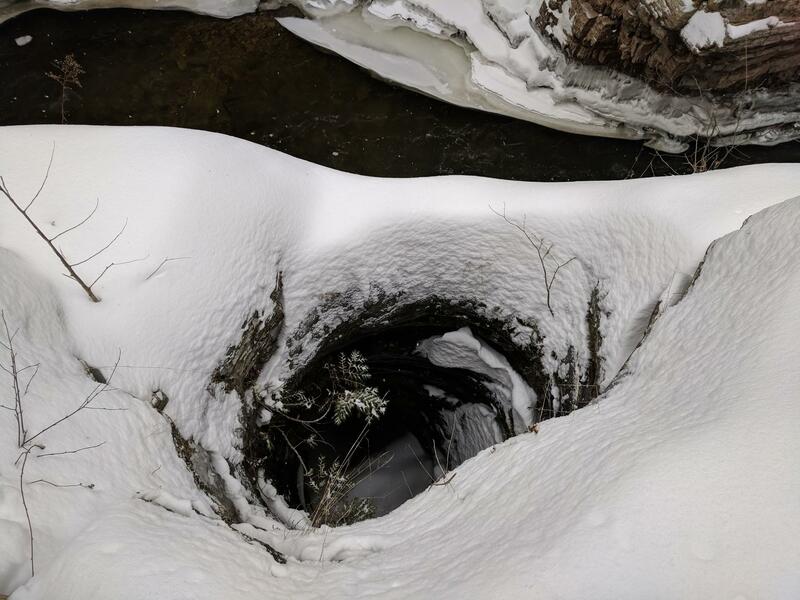 This literal hole in the solid rock of the cliff was weathered away from hundreds of years of sand and water swirling in a little eddy in the rock. Eventually, it was ground down to the size it is today: over two feet wide in places, and a good 8 feet down. For those of you who have been white water rafting at the Chasm during the summer, you'll know that the rafts used are a tough, neon orange rubber. Did you know that only a short time ago the rafts were made of wood? Thankfully, those boats were retired in favor of the safer ones used today. This part of the river is where the rafts are easily lowered down the side of the chasm using a conveyor belt and pulley system. In the past, the boats had to be manually carried up the side of the cliff at the ending point and then driven on a truck back to the starting point. Can you imagine!? . After this point, it was a light walk back around to the beginning, pinching off the loop by crossing another white-frosted bridge. This was the last leg of the journey, and I can wholeheartedly tell you that this adventure was a great one! Definitely one of the most beautiful memories I have of winter on the Adirondack Coast. The crisp smell of the air, the vibrancy of the snow against the rock, sounds of crashing water from below...all things that are even more amazing in person. 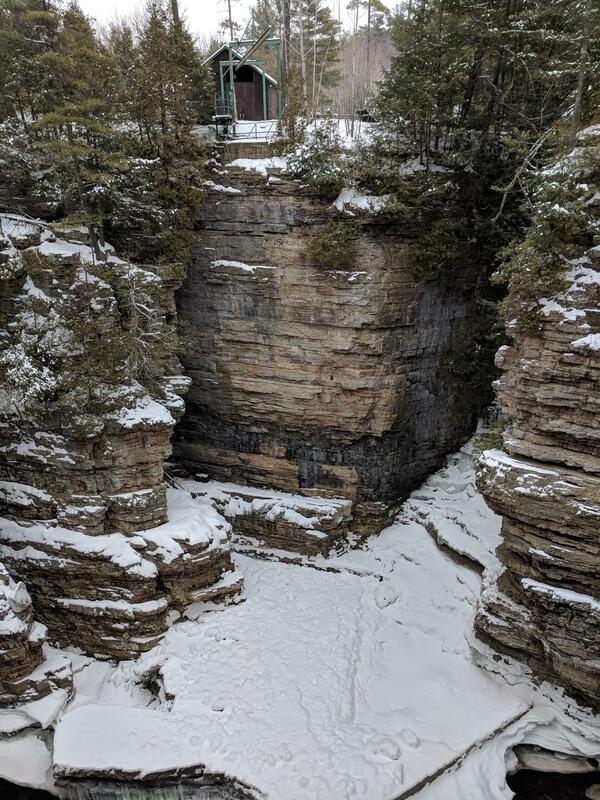 Ausable Chasm has been operating since 1870, making it the longest operating natural attraction in the United States and whether its during the Winter, Summer or Fall, it is definitely worth the visit! 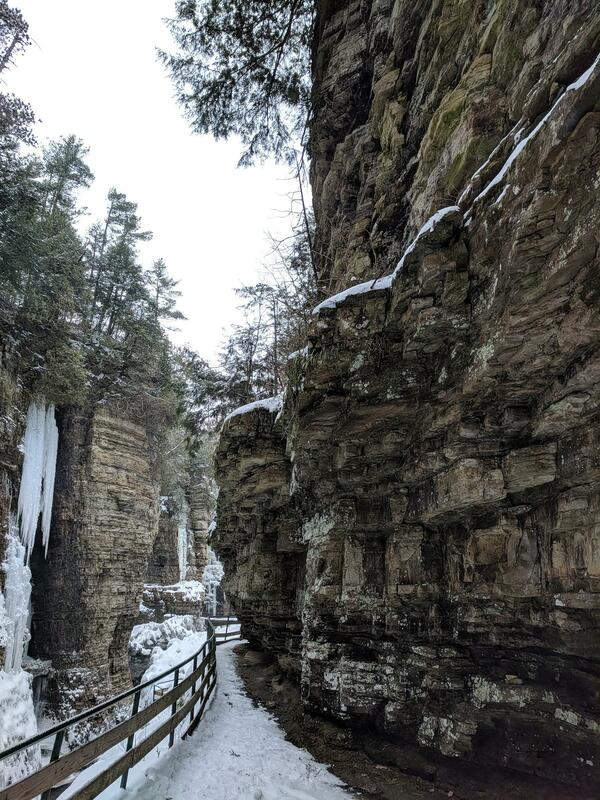 Thank you all so much for exploring Ausable Chasm with me. I hope you enjoyed your winter tour on the Adirondack Coast! Hidden high in the corner of New York State lies, or floats, a jewel of the past that makes history come alive just by stepping on its shores. Valcour Island claims 968 acres of the Adirondack Forest Preserve, and lies a mere mile from the Town of Peru Boat Launch—a short 2-3 minute cruise across the bay. 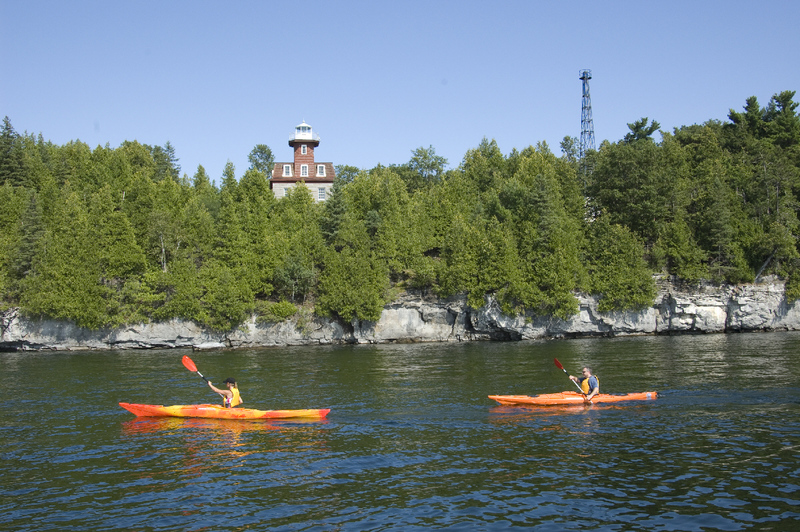 Stuck in an archipelago of the Northern Region of Lake Champlain, Valcour Island features historic sites and recreational facilities like no other island. 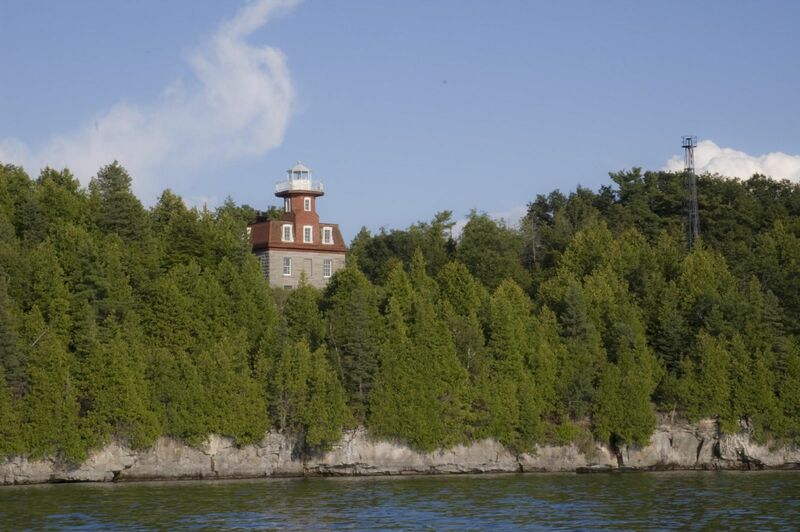 On the north side facing the mainland sits the Bluff Point Lighthouse, which offers tours every Sunday from July to August. Learn more at the official Lighthouse website. 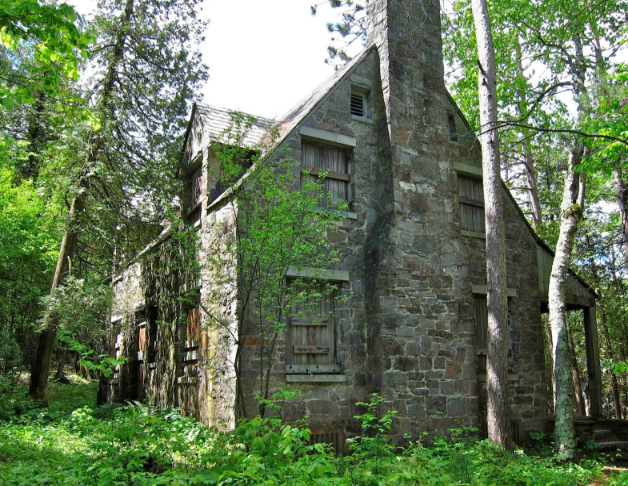 Lurking high on a cliff set deep in crepuscular forests is the Seton House—an 88-year-old solid-stone manor reminiscing in fabled folklore of the family’s ghosts who supposedly wander the grounds at night. It’s even complete with the boarded up windows, and a dilapidated NO TRESPASSING sign harshly bolted to the 10-foot-tall, thick wooden door. Brave enough to venture near it? If the haunted mansion wasn’t enough, there’s more in store for the history buffs and thrill seekers. The word itself, Valcour, means “value of the heart”, and multiple theories have surfaced about it being named after a deep betrayal—perhaps an explanation of the lone, enigmatical grave residing under a carved rock headstone. It’s set deep in Smuggler’s Harbor, the locally famous bay coined for hiding Benedict Arnold from the British Navy during the Battle of Valcour. 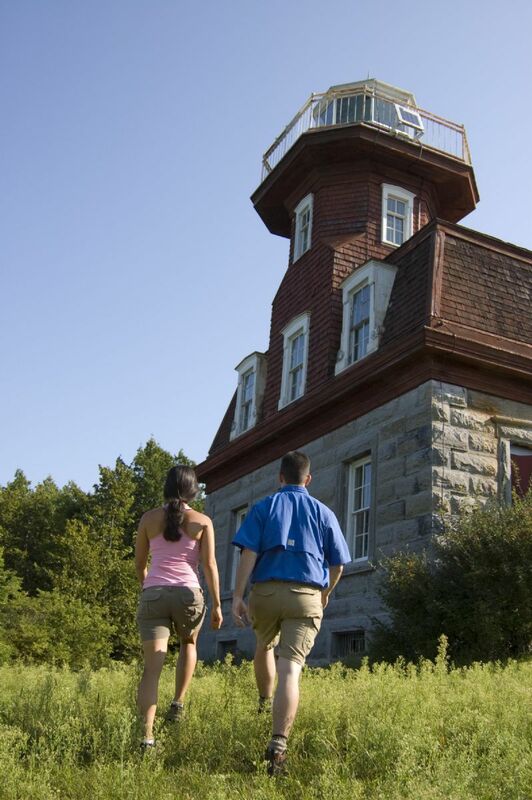 Valcour Island provides a perfect place for adventures, campers, and history buffs alike. Belonging to the small town of Peru, it is a renowned part of the Adirondack Park Preserve and has become a major part of life for those who are interested in Lake Champlain, the history of it, and the many opportunities it provides on the Adirondack Coast.